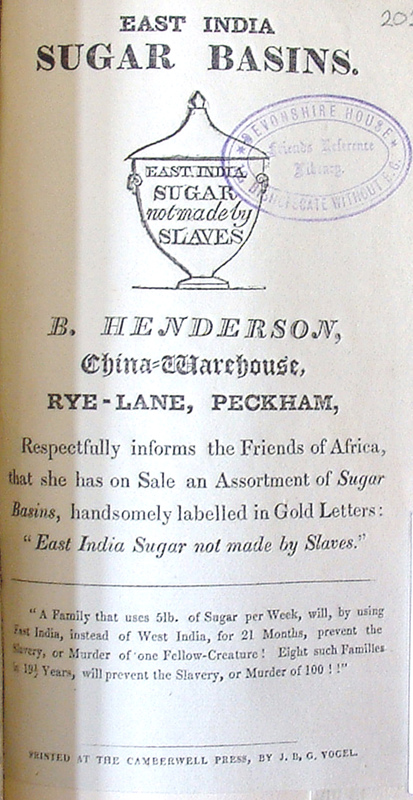 East India Sugar not made by Slaves. A Family that uses 5lb. of Sugar per Week, will, by using East India, instead of West India, for 21 Months, prevent the Slavery, or Murder of one Fellow-Creature! Eight such Families in 19 1/2 Years, will prevent the Slavery, or Murder of 100!! "The idea of ending slavery seemed totally utopian, crackpot, wildly too idealistic"